'Maspalomas Costa Canaria' is located in the municipality of San Bartolomé de Tirajana, in the south of Gran Canaria. It covers an area of 1,532 square miles and is a huge concentration of dunes, blond sand beaches, shallow waters and an excellent climate all year. In short, it's a paradise for beach lovers and family holidays. It has the shape of a truncated pyramid, whose highest point is the Pico de Las Nieves and Los Pechos, a peak located at 1,949 meters. It belongs to the central mountain range that divides the island into two areas. 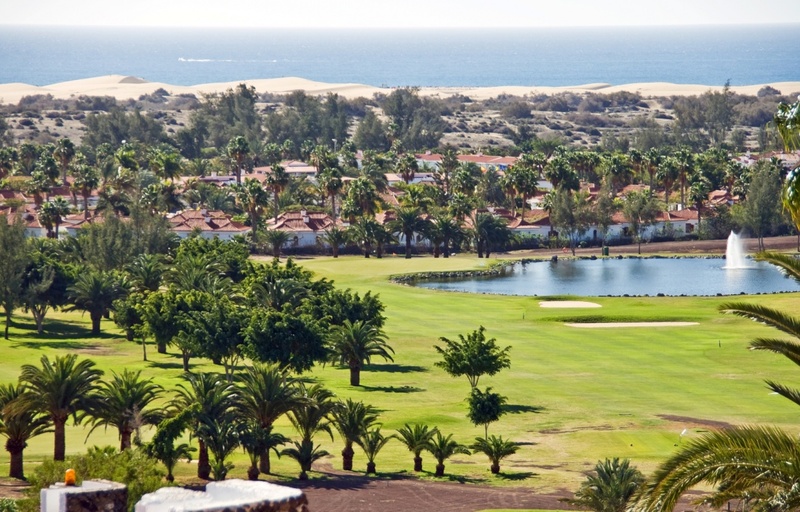 Here, in the heart of one of the most visited coastlines in Europe, you'll find El Faro de Maspalomas. The modern resort boasts beautiful hotels, luxury residences and the largest golf course of the island. It is a tourist zone par excellence. The dunes of Maspalomas are a preferred area for nudists and the gay community, so take that into account when visiting. But that's not all, as there's much more to enjoy and see nearby. Only a few kilometers north of Maspalomas, you can visit Aqualand, the island's largest water park. Holiday World, a huge amusement park with a Ferris wheel is another option. Palmito Park is a great option for nature lovers as it includes a bird park, an aquarium and a breeding of butterflies and orchids. Sioux City, another park not to be missed, is a theme park about the American West, and the fascinating aboriginal world. The island has some specific areas, where any activity or construction is forbidden, due to their natural, agricultural, archaeological or landscape importance. These include among others: El Roque Nublo Rural Park, the protected landscape of Fataga, the archaeological site of Arteara Necropolis and the Arteara viewpoint. One of the favourite meeting places of surfers is the curve connecting Maspalomas and Playa del Ingles. The area also features a wide range of shops, bars, pubs and nightclubs. It's a destination where families, couples and groups of friends can relax, get active and have fun. And all this with the certainty that every day will be a day full of sunshine. Find information about selected Hotels, apartments and rooms in Maspalomas to choose the perfect place for your accommodation.